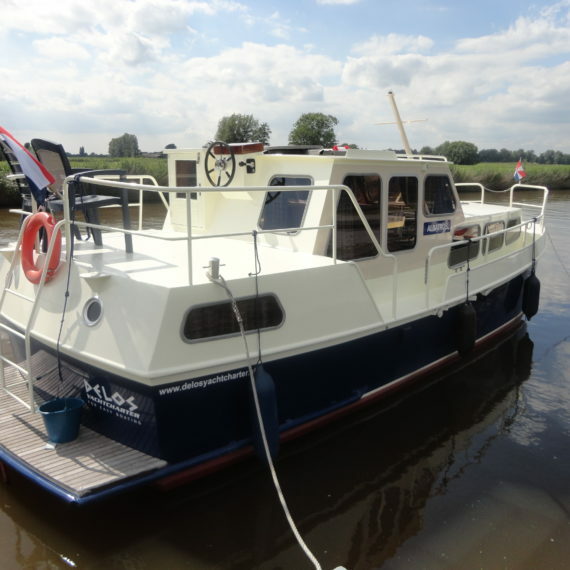 The Rogger 900 salon is the smallest ship from our fleet. 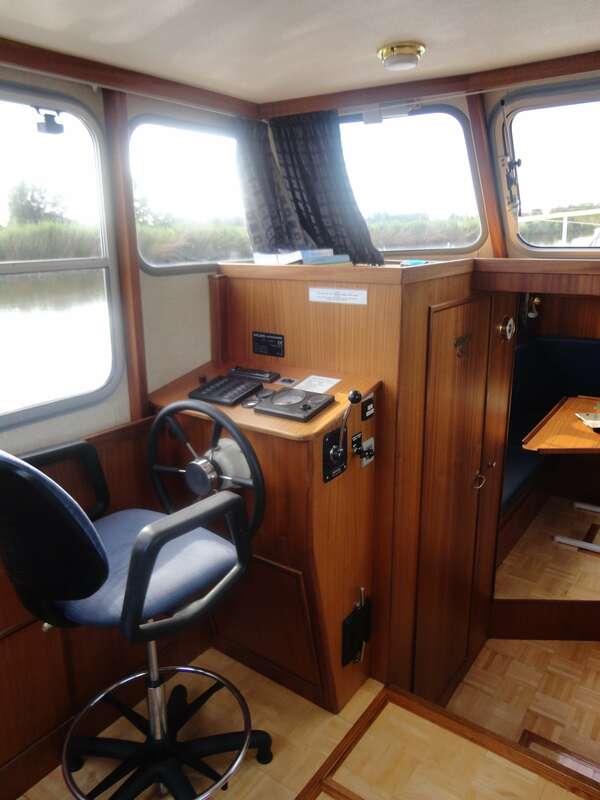 This sturdy ship is very suitable for the beginning sailor, because she is a manoeuvrable and clearly structured ship. 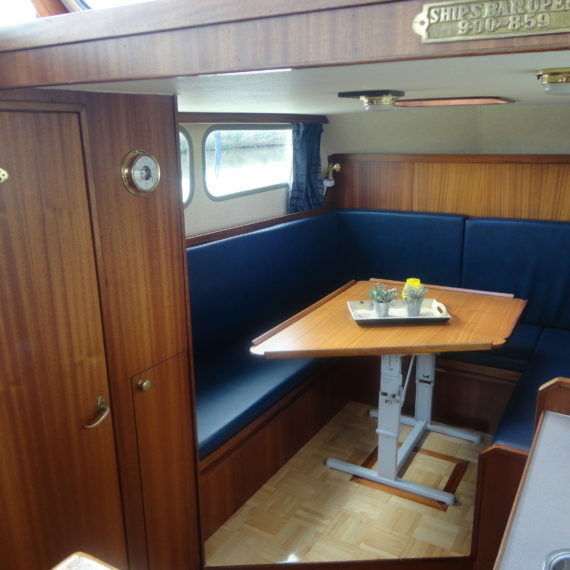 The cosy, circular seats in the front can be re-arranged effortlessly into a comfortable double bed. 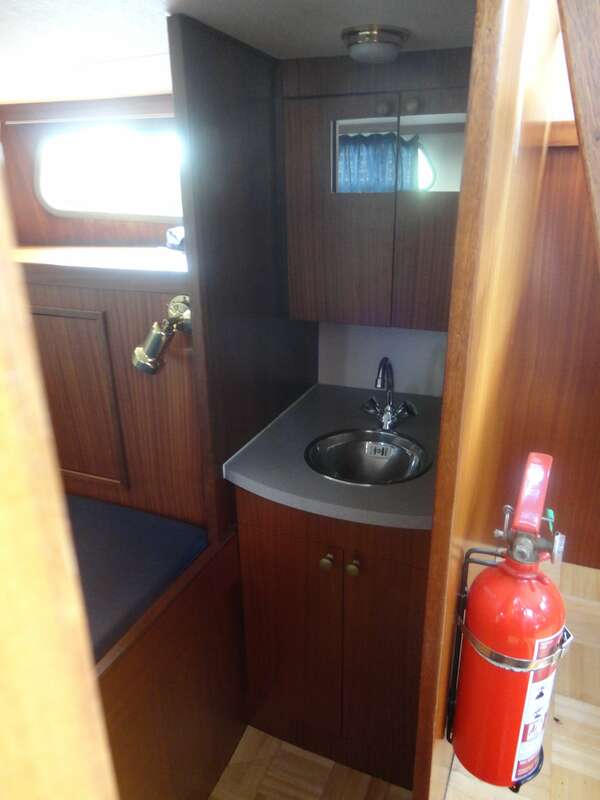 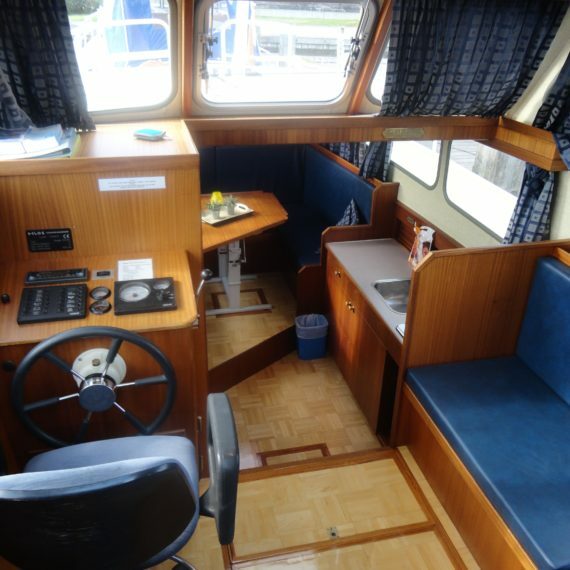 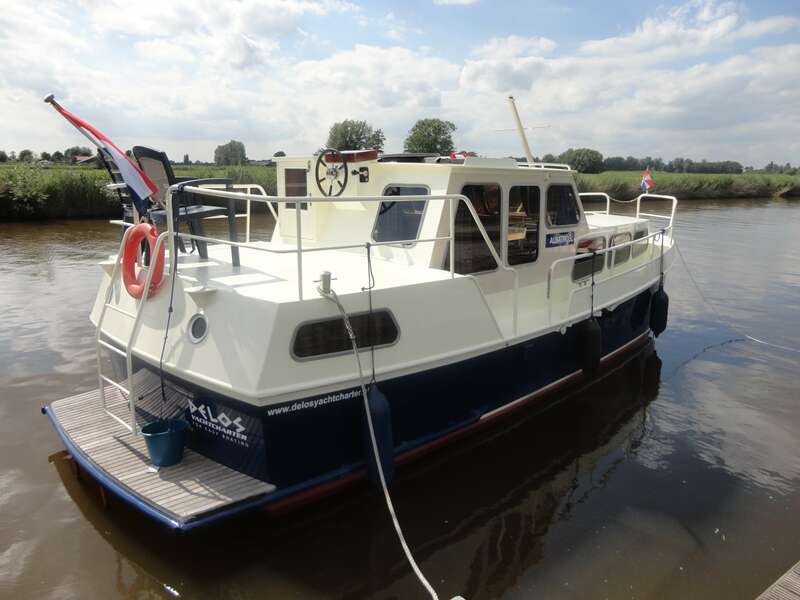 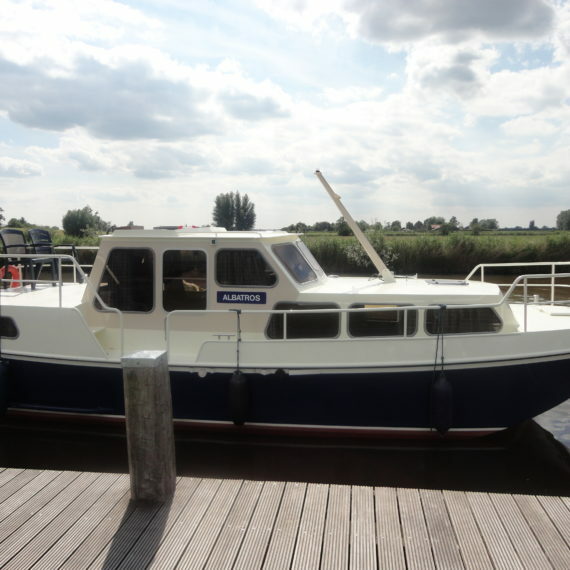 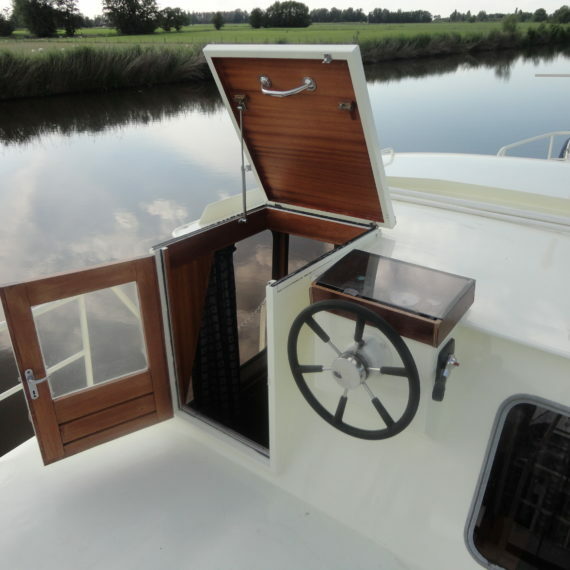 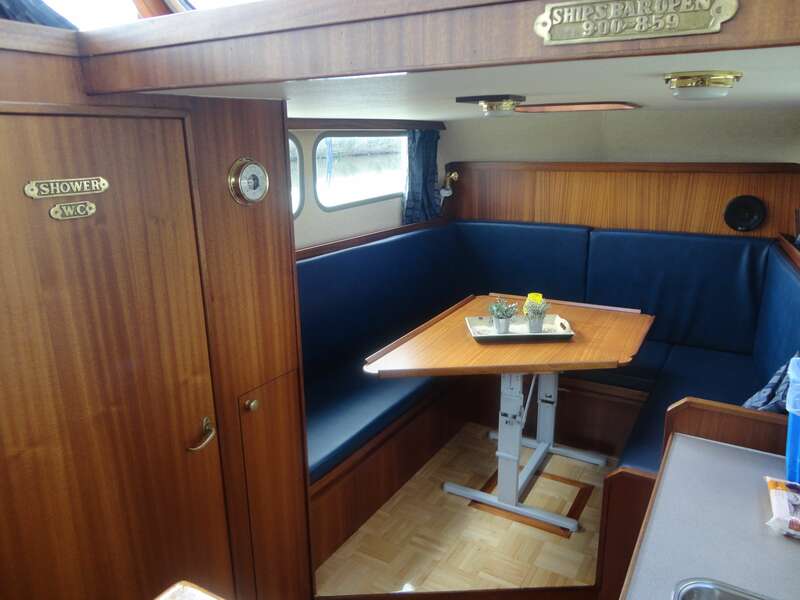 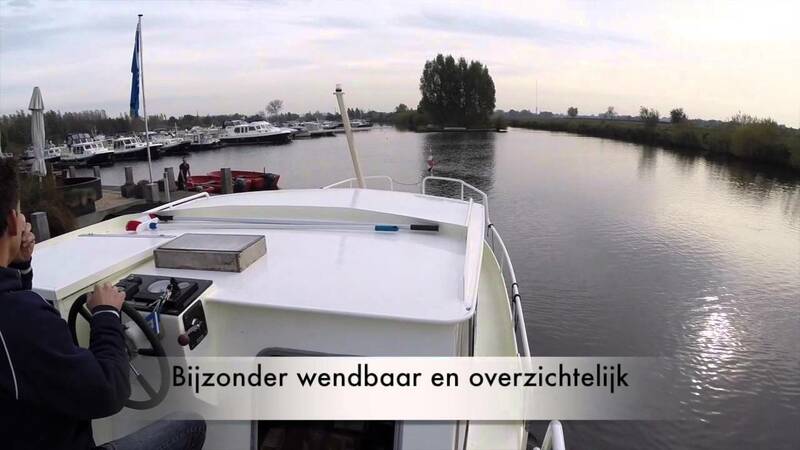 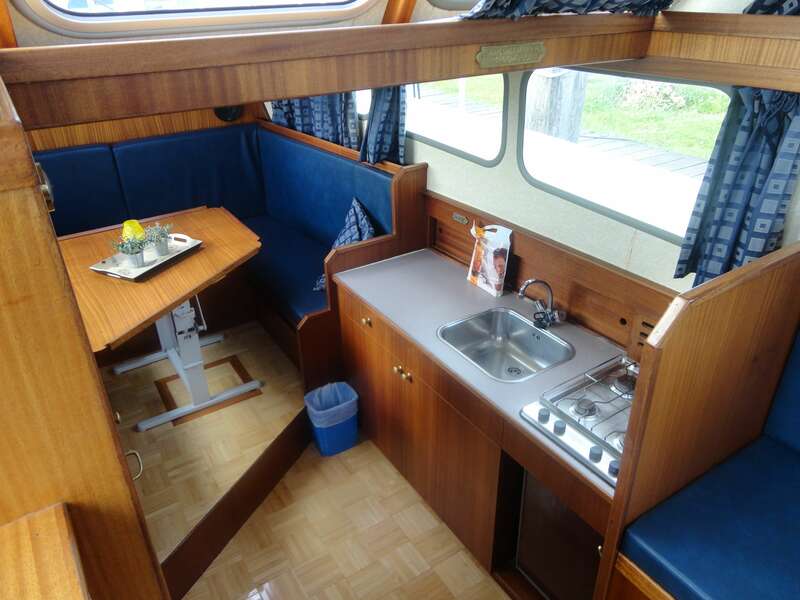 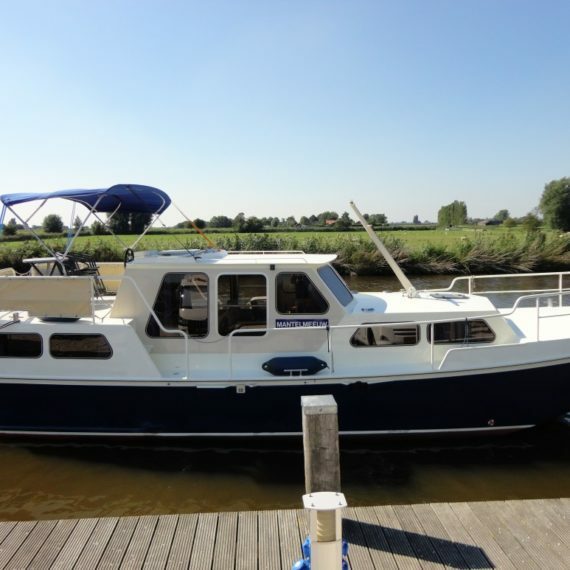 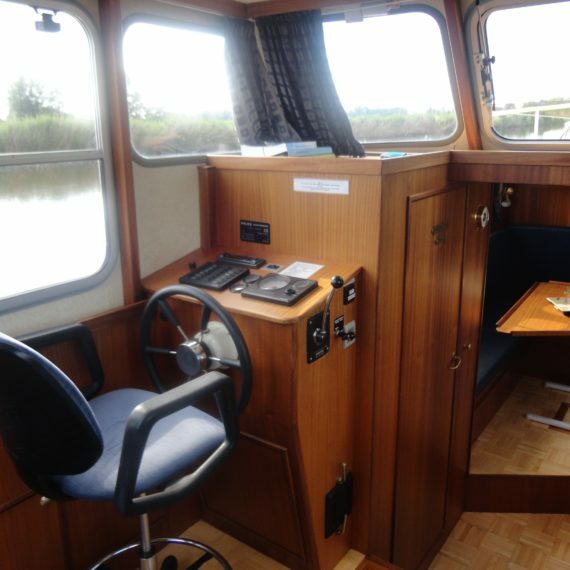 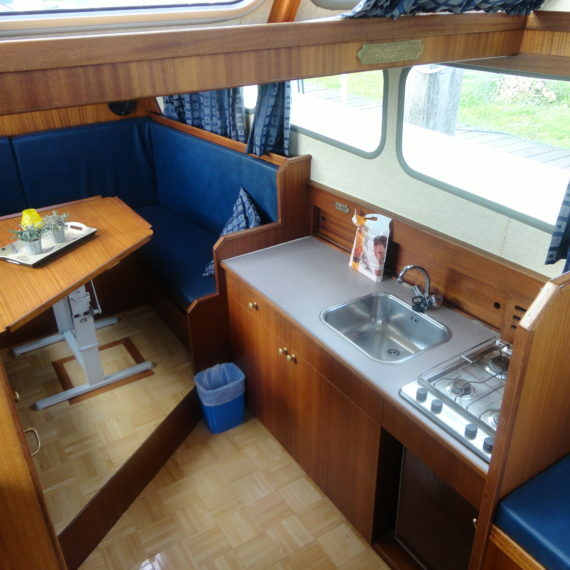 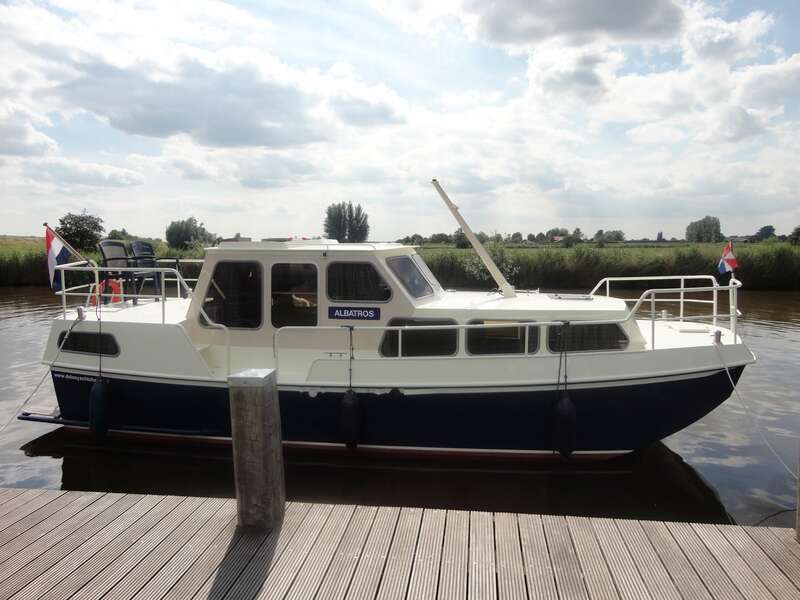 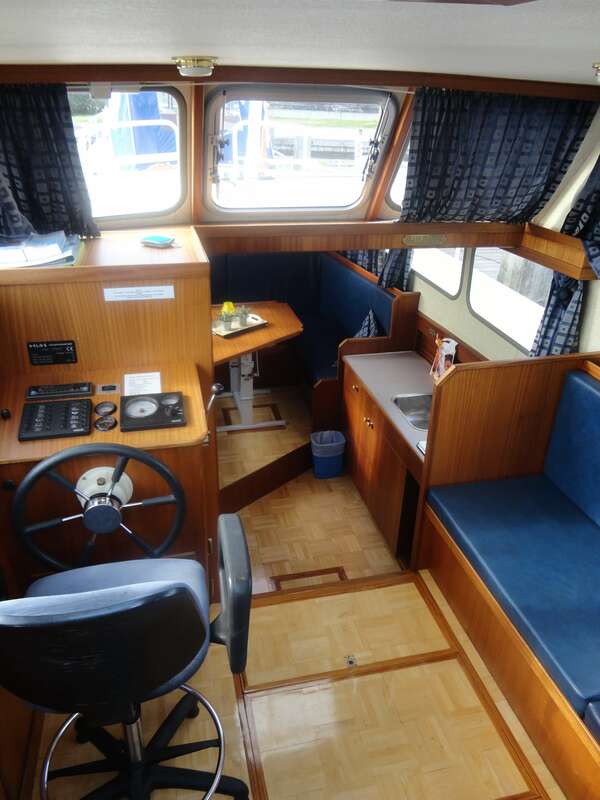 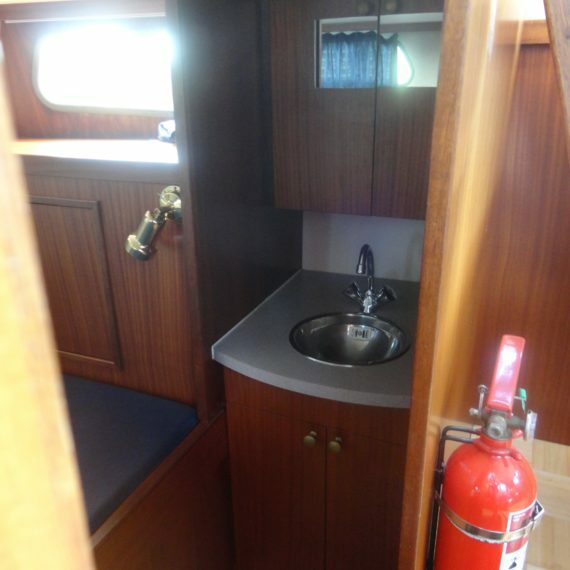 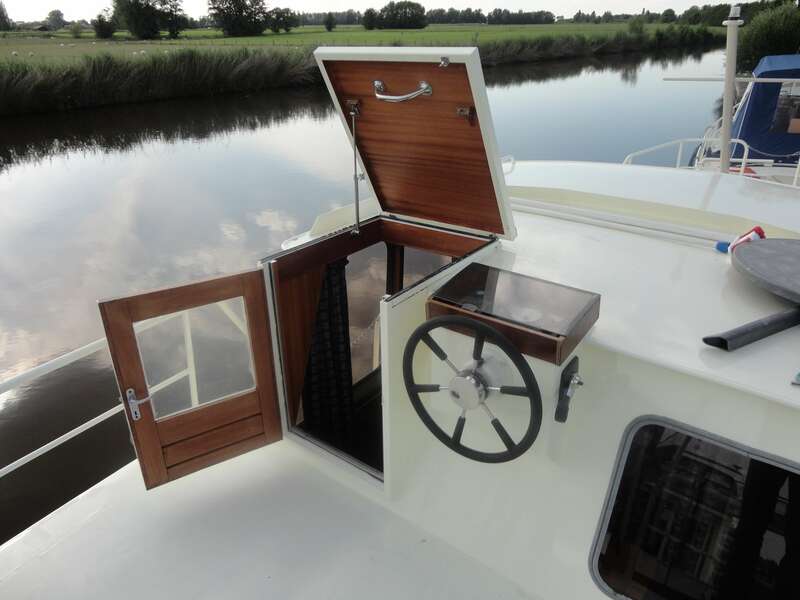 With its spacious kitchen, shower, and a hot-air heater, it is a very comfortable ship.